I spent four months in Nepal, from September to December, 2011. The country has much more diversity than you'd likely guess. I spent about half my time trekking around at altitude in the Himalayas, but there's much more to this incredible country than enormous mountains. 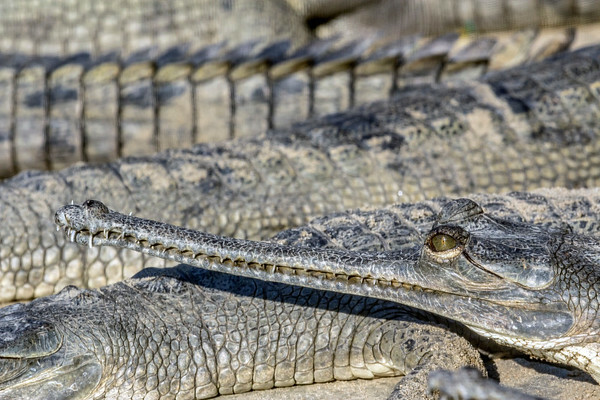 A bunch of gharials – a type of fish-eating crocodile – that I shot at the Gharial Conservation Center in Chitwan National Park, southern Nepal. These animals are critically endangered, with estimates for the number living in the wild hovering at less than 235. They can grow to over 20 feet in length, but average only 11 to 15 feet. Although they once inhabited all the major river systems of the Indian Subcontinent, they now live in only 2% of their former range. Available in the following sizes (Rectangle B): 12x8, 18x12, 24x16, 30x20, 36x24, 45x30. When most people think of Nepal, they think of the highest mountains on the planet. 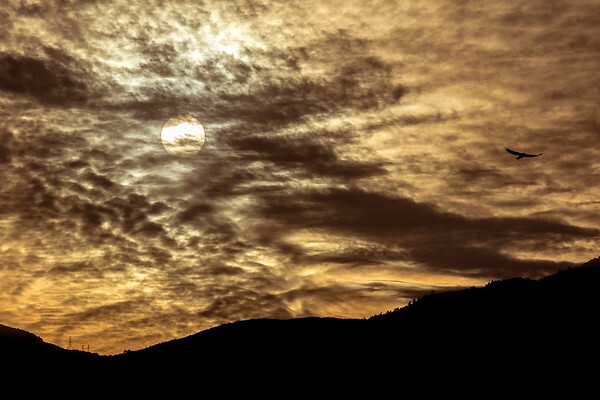 The southern portion of the country, however, is much lower, and the environment, as well as the culture of the area reflects this difference. I went on a journey to Chitwan National Park, approximately 60 miles geographically but worlds apart in terms of day-to-day life from the madness of Kathmandu. 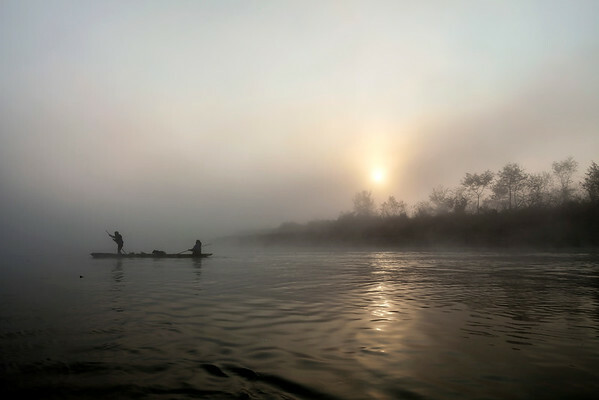 Life here was much slower, as symbolized by the lazy paddling of a canoe through Chitwan National Park at sunrise. Available in the following sizes (Rectangle B): 12x8, 18x12, 24x16, 30x20, 36x24, 45x30. 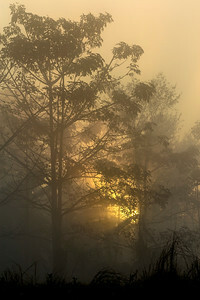 A bit more abstract than my typical photography, I took this just after dawn in southern Nepal's Chitwan National Park. Available in the following sizes (Rectangle B): 8x12, 12x18, 16x24, 20x30, 24x36. 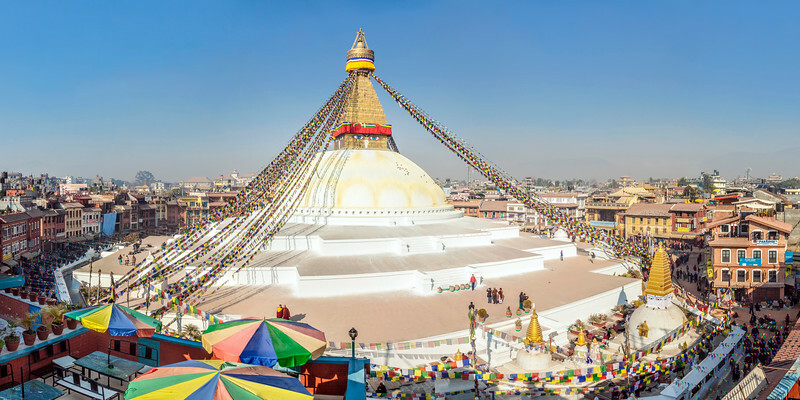 Boudinath (also spelled Boudhanath) is a large Buddhist stupa located about 11 miles from the center of Kathmandu. This stupa, which measures 118 feet tall, dominates the local skyline. Unfortunately, it was badly damaged in the deadly 2015 earthquake that rocked this beautiful country, but renovations have since been completed, and it is, once again, as beautiful as ever. Available in the following sizes: 20x10, 24x12, 32x16, 40x20, 48x24, 48x24 Triptych (3 x 16x24), 60x30, 60x30 Triptych (3 x 20x30), 72x36, 72x36 Triptych (3 x 24x36), 80x40, 80x40 Triptych (3 x 27x40). 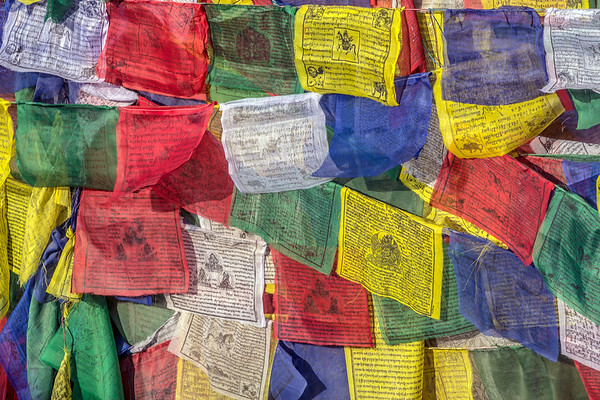 One cannot travel far in Nepal without coming across prayer flags, like those shown here. They can be found all over the country, from the middle of the city – like these, which I photographed at Boudinath Stupa, in Kathmandu – to the tops of the world's tallest mountains. Available in the following sizes: 12x8, 18x12, 24x16, 30x20, 36x24, 45x30. 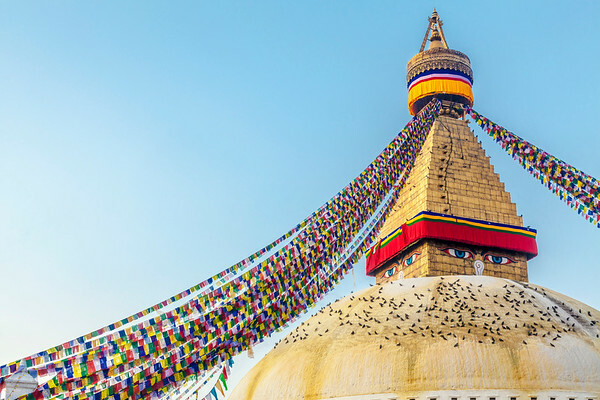 Boudinath (also spelled Boudhanath) is a large Buddhist stupa located about 11 miles from the center of Kathmandu. This stupa, which measures 118 feet tall, dominates the local skyline. Unfortunately, it was badly damaged in the deadly 2015 earthquake that rocked this beautiful country, but renovations have since been completed, and it is, once again, as beautiful as ever. Available in the following sizes: 12x8, 18x12, 24x16, 30x20, 36x24, 45x30. I made it something of a habit while staying in Nepal to be on the roof of my hotel when the sun went down. For whatever reason, at this time of day, tons of birds would fly into and out of town. I shot this fairly artsy photo of a silhouetted crow and the sun a short time before setting a couple days before Christmas, 2011. Available in the following sizes: 12x8, 18x12, 24x16, 30x20, 36x24, 45x30. I took this photo on the 30th day (of 35) of my Everest Base Camp trek in November and December of 2011. The Nepali people who live in the Himalayas don't have roads, motorcycles, or cars, and so everything that is moved around the region is done on the backs of people or pack animals. 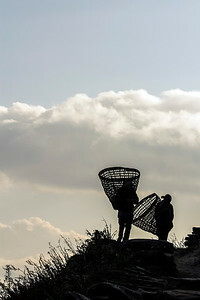 Shown here are two Nepali women with the traditional baskets used by the people of the area to move everything from food to furniture. Available in the following sizes (Rectangle B): 8x12, 12x18, 16x24, 20x30, 24x36. The village of Gokyo is a trek of a few days west of Gorak Shep and Everest Base Camp. 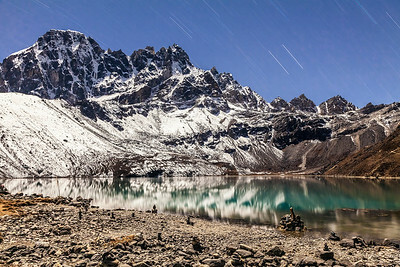 It lies on the shore of Gokyo Lake, shown here. A 20-minute exposure allowed me to capture the rotation of the Earth, made visible in the "star trails" you can see in the night sky. Available in the following sizes (Rectangle B): 12x8, 18x12, 24x16, 30x20, 36x24, 45x30. Considering the fact that Mount Everest is the tallest mountain on the planet, it is surprising how difficult it is to see and photograph. Surrounded by many other enormous peaks, it is tough to find a good point from which to view it. 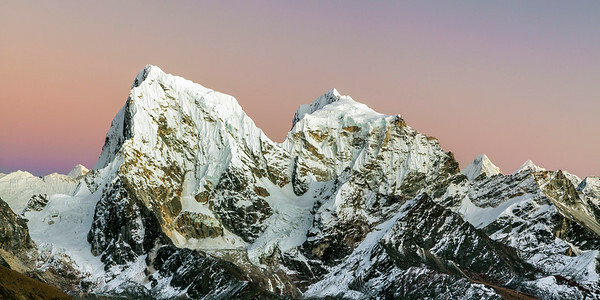 Perhaps the best location to view and photograph Mount Everest is from Gokyo Ri, the mountain just above the village of Gokyo, a one or two day walk from Everest Base Camp. 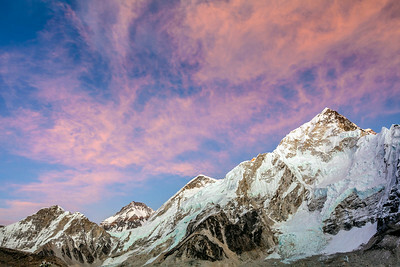 And it is from the top of this 17,575 foot peak that I took this photo of some of the peaks near Mount Everest shortly after the sun set, leaving the sky beautiful shades of pink and purple. 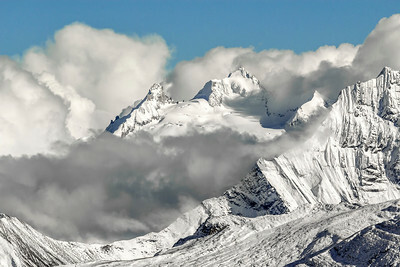 Available in the following sizes (Panorama A): 20x10, 24x12, 32x16, 40x20, 48x24, 48x24 Triptych (3 x 16x24). Considering the fact that Mount Everest is the tallest mountain on the planet, it is surprising how difficult it is to see and photograph. Surrounded by many other enormous peaks, it is tough to find a good point from which to view it. Perhaps the best location to view and photograph Mount Everest is from Gokyo Ri, the mountain just above the village of Gokyo, a one or two day walk from Everest Base Camp. 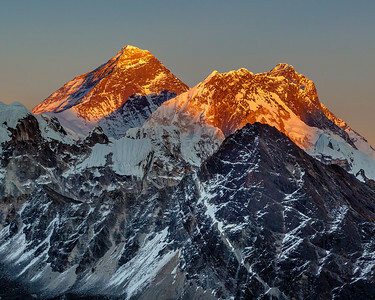 And it is from the top of this 17,575 foot peak that I took this photo of Mount Everest at sunset. Available in the following sizes (Rectangle A): 10x8, 14x11, 20x16, 24x20, 30x24. Considering the fact that Mount Everest is the tallest mountain on the planet, it is surprising how difficult it is to see and photograph. Surrounded by many other enormous peaks, it is tough to find a good point from which to view it. Perhaps the best location to view and photograph Mount Everest is from Gokyo Ri, the mountain just above the village of Gokyo, a one or two day walk from Everest Base Camp. 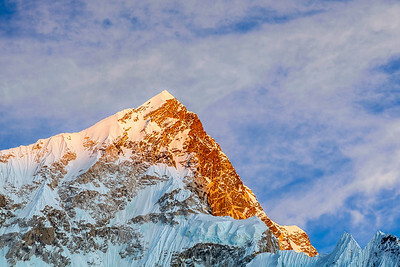 And it is from the top of this 17,575 foot peak that I took this photo of Mount Everest at sunset. Available in the following sizes (Panorama B): 30x12, 40x16, 50x20, 50x20 Triptych (3 x 17x20), 60x24, 60x24 Triptych (3 x 20x24), 75x30, 75x30 Triptych (3 x 25x30). Gorak Shep is the last stop most casual trekkers make before reaching Everest Base Camp. The "village," which consisted of 3 buildings when I visited in November, 2011, is surrounded by the highest mountains on Earth. This is just one of many, illuminated by the day's last light. Available in the following sizes (Rectangle B): 12x8, 18x12, 24x16, 30x20, 36x24, 45x30. Kala Patthar, which translates to 'black rock,' would be an unknown mountain, were it not for the view it affords of Mt. Everest. Everest cannot easily be seen while in the area, since other mountains nearby, including Nupste (the most prominent mountain in this photo) block any views of the world's tallest mountain. Climbing Kala Patthar, though, allows one to have a good view of Everest – the pyramid-shaped photo in the back, left of this photo. Available in the following sizes (Panorama B): 30x12, 40x16, 50x20, 50x20 Triptych (3 x 17x20), 60x24, 60x24 Triptych (3 x 20x24), 75x30, 75x30 Triptych (3 x 25x30), 90x36, 90x36 Triptych (3 x 30x36). I spent 35 days hiking to and around Everest Base Camp in November and December of 2011, and took this photo on my third day into the trek, somewhere between the villages of Deurali and Kinja. 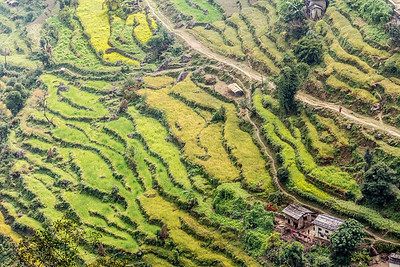 If you look closely at the right side of the picture, a Nepali woman is visible walking along one of the many regional trails that connects the villages in the area. Available in the following sizes (Rectangle B): 12x8, 18x12, 24x16, 30x20, 36x24. 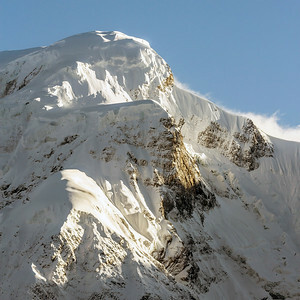 The Annapurna trek in the Himalayas is simply spectacular. I spent 17 days on this trek in 2011, and took this photo near the middle of my time in the area. I couldn't tell you the name of the mountain shown here, but it was close to the village of Manang, in the Annapurna region of the Himalayas. Available in the following sizes (Square): 10x10, 12x12, 16x16, 20x20, 24x24, 30x30. The Annapurna trek in the Himalayas is simply spectacular. I spent 17 days on this trek in 2011, and took this photo near the middle of my time in the area. I couldn't tell you the name of the mountain shown here, but it was close to the village of Manang, in the Annapurna region of the Himalayas. Available in the following sizes (Rectangle B): 12x8, 18x12, 24x16, 30x20, 36x24, 45x30.